WITH THE ALL IMPORTANT CENTRAL AIR CONDITIONING ! . CLIMATE ROOM ( WITH A DOGGIE DOOR ACCESSING THE SOUTH YARD..
HAS A DOGIE DOOR LEADING OUT TO THE EAST DOG YARD . THAT YARD HAS A 6 FOOT WOOD FENCE AROUND THE PERIMETER WITH A SECOND SECURITY FENCE ONE FOOT INSIDE THAT, AS A PRECAUTIONARY MEASURE AS MY GIRLS ARE "DIGGERS"! THEY ARE ALL AS HAPPY AS CLAMS . THEY RANGED IN AGE FROM FOUR TO SEVEN WEEKS OLD IN THE PICTURE JUST SO YOU CAN GET AN IDEA OF HOW ROOMY EACH SLEEPING KENNEL IS . PLUS THESE KENNELS HAVE PLENTY OF AIR FLOW . THE WHITE FACED PAINT ABOVE IS BLUE OUR HORSE . 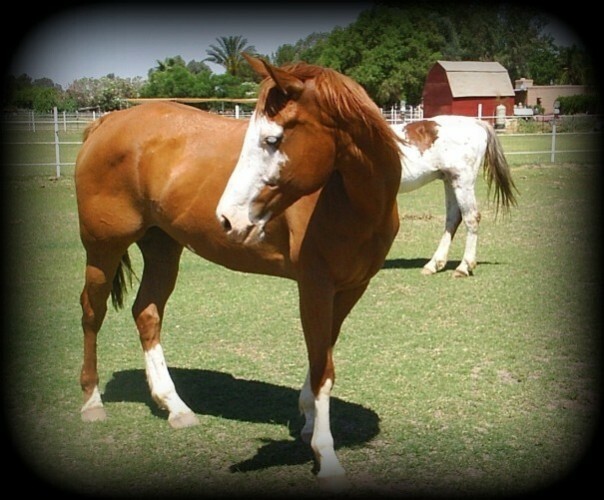 THE PICTURE WAS TAKEN WHEN HE WAS A TWO YEAR OLD COLT. HE IS NOW 13 YEARS OLD .... HE IS THE ONLY HORSE THAT WE STILL HAVE , AND HE IS STILL A HANDSOME HUNK ! THE HORSE BEHIND HIM IS PRETTY BOY , HE WAS 23 IN THAT PICTURE HE HAS SINCED " RETURNED TO THE DUST "
THAT IS SAFIREA'S FARRIER ON HER BACK ...SHOWING OFF ! LUCKY FOR HIM SHE WAS IN A GOOD MOOD THAT DAY ! MAIN CANAL THAT GOES FOR MILES GREAT FOR HORSE BACK RIDING . IT IS USED TO IRRIGATE OUR PASTURE .